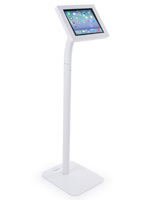 This storefront iPad stand provides functionality and modern design to display product videos or interactive business presentations to boost sales. 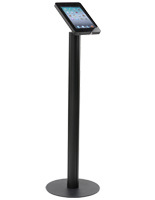 For ease of use each mount rotates a full 360 degrees for visibility from all angles. 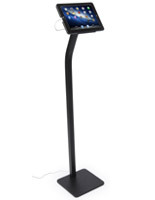 For added security, his iPad stand with steel faceplates is attached to the enclosure with a specialized screw that will only operate using the included dedicated tool. The home button is covered to prevent customers from accessing anything other than the chosen display within the tablet holder. 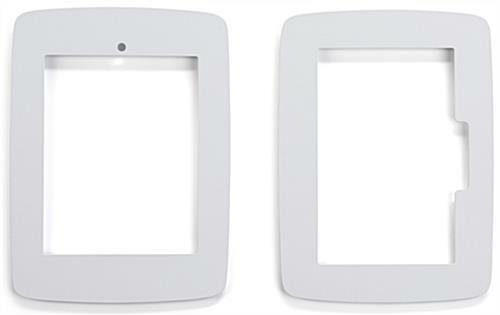 Each is delivered with foam inserts for the enclosure and 2 faceplate options for a variety of iPads. 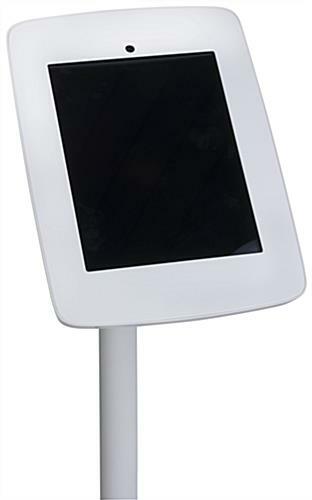 The floor standing design of this tablet holder has a thin, space saving design with a steel and ABS plastic construction for stability. This iPad stand can bring your business into the future with interactive advertisements, promotional videos, or enticing products to get customers into your shop. 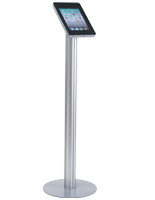 12.0" x 49.0" x 16.0"
12.0" x 0.25" x 16.0"
Ordered (2) iPad stands for my client to use for an upcoming trade show. They were very happy with the product! Only recommendation is to receive tracking information via email once the item ships to relay to future clients, and to note when items are to be expected to arrive. This is a small detail, and we were overall happy with using Displays2go. Hi Heather! Thank you so much for writing this review. 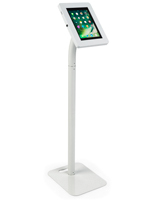 We're glad that you and your clients were happy with our iPad kiosks. You should receive a tracking email once an item ships with an expected delivery date. You may want to check your junk mail or spam folder to see if it ended up there. We hope that helps!